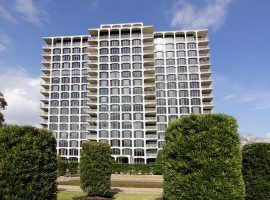 In Texas the most luxurious area for high rise is Upper Kirby and River Oaks. Some of the most coveted River Oaks high rises for sale can be found in the 77019 zip code. 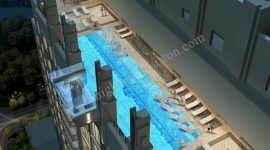 You can select from a number of high rise and loft style condominium like the Huntingdon, Royalton at River Oaks, One Montrose Place, Renoir Lofts and Gotham Lofts. Huntingdon is located in the Upper Kirby and River Oaks neighborhood and is a convenient place to live in as the River Oaks elementary school is within the zone. You also have easy access to well stocked grocery stores and retail, world class entertainment and international cuisine. 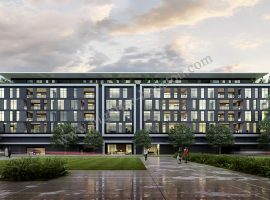 If it is country style living you are interested in then have a look at the Royalton at River Oaks high rise which is just off the banks of the Buffalo Bayou Park. Here residents will be able to make the best use of the redesigned park that has hike and bike trails, children’s park, exercise stations, skate park and even a dog’s park. 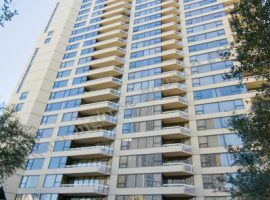 Luxury high rise for sale or rent is available at One Montrose Place. The area is surrounded by museums, libraries, healthcare centers and banks and so a city lover will find this very convenient. Residents can also get a view of the Galleria and Downtown Houston Skyline. 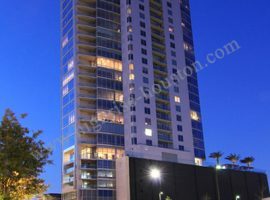 If you would like to live in this top area of Houston then call your high rise specialist to make an appointment for you to have a look around. 2727 Kirby is upscale and sophisticated. The building has a unique and futuristic design .The area has the best design galleries, bars restaurants fashionable shopping. The most desirable Upper Kirby high rises for sale or rent can be found in the area that comprises 77098 zip codes. 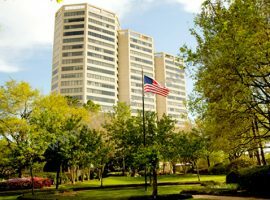 The Regency House and Lamar Towers condominiums are located in this upscale neighborhood too. Situated in the Inner Loop, Lamar Towers is just a walk away from most locations including the Texas Medical Center. The Condo’s at Regency House high rise offer views of Downtown and River Oaks. The Upper Kirby high rises for sale have various amenities that include concierge, valet parking, porter service, running track, tennis courts, grounds with pools assigned parking and outdoor entertainment space. Call High rise specialist Realtor Vicky Cedillo today if you would like to have your home in this most sought after address. Another interesting feature in the Upper Kirby district is the red street signs and red telephone booths. 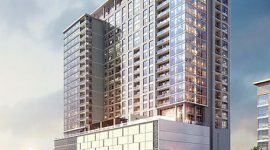 High rises in the 77027 zip codes includes the new Highland Tower project. The combination of the modern and the classic are evident in the buildings contemporary finish yet homely feel. 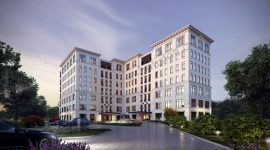 In the same zip code are the Briarglen Condominiums located in the most prestigious neighborhood that comprises Highland Village, Galleria, and River Oaks. 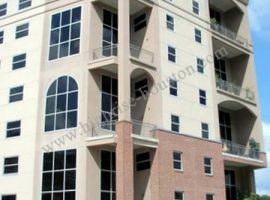 Luxury high rises for sale and rent in Houston’s most exotic real estate can be shown only by appointment. 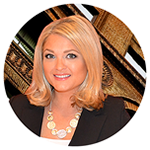 So consult with Vicky Cedillo high rise specialist who knows which condos are available for sale or rent.